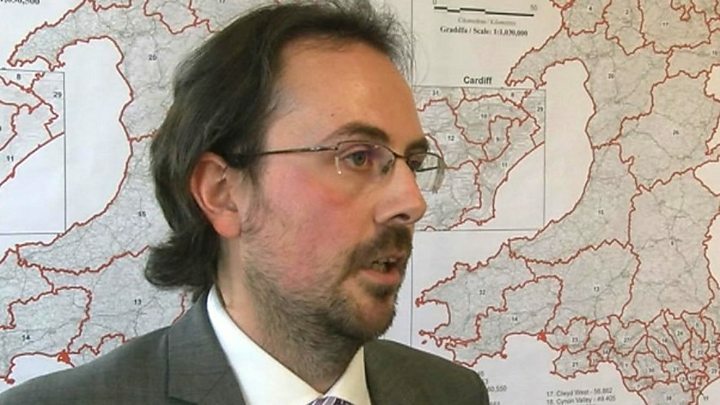 A Tory MP has claimed a new plan to cut the number of Welsh parliamentary seats by more than a quarter is "crackers" and will "damage democracy". The Boundary Commission said it had redrawn the map which cut the 40 seats to 29 in response to public views. 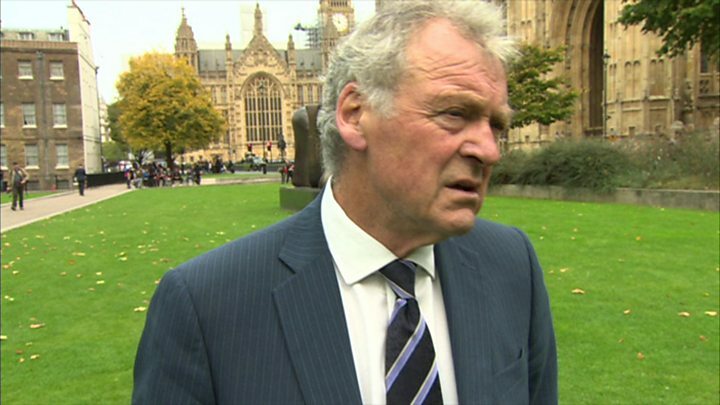 Montgomeryshire MP Glyn Davies said the commission had not been given the scope to take history, tradition and cultural differences into account. But he called the shake-up an "academic exercise" unlikely to go ahead. If it goes ahead, it would be the biggest change to the electoral map of Wales since the war. There are 19 changes to the boundaries outlined in the commission's first set of proposals published in September 2016. The most controversial idea was splitting Port Talbot between two separate constituencies - but this has now changed, with the town included in the proposed constituency of Ogmore and Aberavon. Another significant change is for Caernarfon to be included in a new Gwynedd constituency, rather than become part of a seat combining Bangor and Anglesey. Commission secretary Steve Halsall said it "sought to identify the solutions most suitable to local needs within Wales". A junior member of the government as parliamentary private secretary to Welsh Secretary Alun Cairns, Mr Davies said he was "disappointed". "I think they're crackers," he said of the proposals, under which his Montgomeryshire seat would disappear. "They don't make a sensible allowance for rural areas, they don't give commissioners the freedom to take into account history, tradition, or cultural differences. "I just think they're crazy and, when they eventually collapse, I'll applaud it." Arguing in favour of keeping 650 MPs, Mr Davies added: "People won't know their MP - they won't have close contact because it'll be just too far away. In rural areas I think it will damage democracy." Plaid Cymru's leader at Westminster, Liz Saville Roberts, said her party did not oppose a cut in MPs but claimed that "disproportionately focusing those cuts on Welsh constituencies will weaken Wales's voice in Westminster and strengthen Westminster's grip on our country". The Boundary Commission has made a number of changes to its original set of proposals published in September last year, but the most important change between now and then is Theresa May's lack of a parliamentary majority. It means many doubt whether the new suggested lines on the map will ever become reality. Despite a further two month period of consultation, there will probably not be any dramatic alterations, so at least we are in a position to say that if it does go ahead, this is what the electoral map of Wales would probably look like. Broadly speaking, the commission has not faced major opposition to the plans in north east Wales and the south Wales valleys. There are still likely to be disagreement on Anglesey, which will no longer be an island constituency, the historic constituency of Montgomery which is being broken up, and in the Port Talbot area which will see various parts join with its neighbours of Ogmore and Neath.